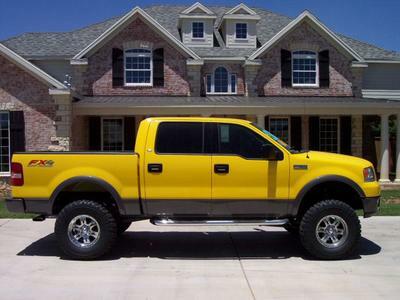 Traded in my 01 F250 Crew Cab for a 04' Blaxin' Yellow F150 STX. Love the truck.. hate the brake dust. Hey guys I just noticed that you started this post for Blazing Yellow owners. I got one! I've had it for about 2 months. I haven't had a chance to take any pics of it yet but hopefully I'll get around to that soon so you can see. It's an Supercab FX4 with flare sides, black leather seats and center console. I have the factory black tubular step bars too. I got a spray in bed liner and dual exhaust done too. I also put in a killer stereo...even covered the box in carbon fiber to match the dash. I'll get pics of it all soon. When I read that they are not making the yellow in 05 that made me really disappointed. I get so many comments on how people love the color and how "sharp" it looks, etc... Well I guess the yellow will become even more unique if they aren't making it next year. Alright later guys. I just want to say that everyone here has some real cool rides!! 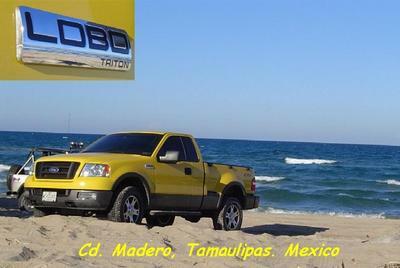 I think they should start a new forum just for us yellow owners. 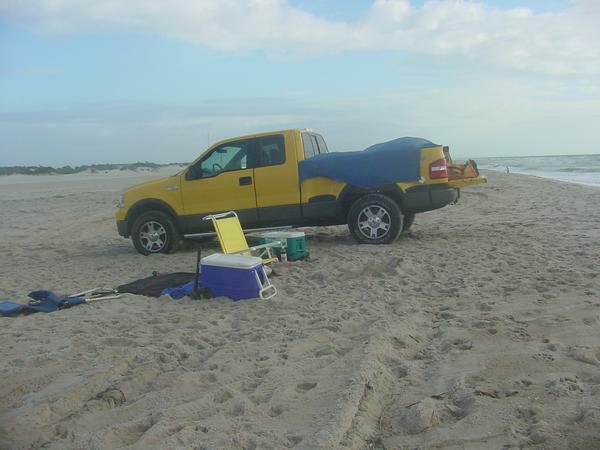 I think I need to upgrade my '01 RED truck for a yellow '04! I would love to see my yellow '79 and '04 next to each other, super sweet! Thanks everyone for the compliments on my '79, especially the ladies! For all the hard work, time, and money i've put into that truck, it's nice to get compliments! I was wondering what everyone's thoughts are on a bedliner. I know that the linex is great, but I won't be hauling anything heavy. I really want to get the rubber liner from Ford, but I've heard dampness builds between the liner and the bed! The LINE-X is an excellent choice for spay-in bed liners. It not only protect the bed of the truck but it's very easy to clean. Eventhough you may not have any plans to do any serious hauling that would require a heavy duty bed-liner, The LINE-X spray-in bedliner is garanteed for as long as you have the truck and it adds value to it as well. I can't say anything good about the slip-in plastic or rubber bedliners because they will ruin the bed. Especially with sand and water in off-road activities. As far as you messing around in the bed of your truck, well, I can't really say much about that. How much did you lift the truck? the truck is a Regency unit with 6" Pro-comp lift running 35/12.50/17 Xterrains on 17x10 EVO Velociti weld wheels. Last edited by yob2kanobe; 09-04-2004 at 02:49 AM. ripped something important in my knee...important as I can't walk on the freak'n thing, so as you can imagine, an extra 6" isn't recommended from the Doc! LOL. OMG sorry bout the bad luck Julie,, give it time to heal up then go for it! I haven't gotten any pics posted yet but I too love my blazing Yellow Scab flareside. I was the only one in town for quite awhile, then one day I was in a parking lot of a local store and a guy comes up and tells me he liked my truck so much that he ordered one exactly like it! I was kind of ticked off but what can you do, with the colour being discontinued at least there will only be two in town. besides mine looks better, he has one of the leather tonneau covers and I have a colour matched raider low rider fiberglass tonneau cover. Maybe we can do a wild west stand off kind of thing, you know there's only room in this town for one of us! Can't wait for the pics....I have a flareside, and I'm torn between a retractable and a hard tonneau cover (matching). By the way, the same thing happened in my town, with a matching 04 F-150 FS S/C in blazing yellow...I almost choked on my coffee when I saw it... oh well.... I guess that's why there's aftermarket mods! Nice to meet all ya! I had been wanting one for some time . Took some time finding . they was able to hold on too. would not let it go. Last edited by Texzin; 09-19-2004 at 06:31 PM. Last edited by torresu; 07-22-2005 at 01:59 AM. so I can appreciate that they went 600 miles to get the vehicle for you.